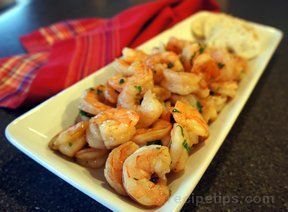 Shrimp marinated with a little sweetness and a little spiciness. You can add a little more cayenne if you like it even spicier. This is great served warm or cold. Mix all ingredients together in a 9x13 inch casserole dish. Let marinate for three or more hours, tossing every hour. 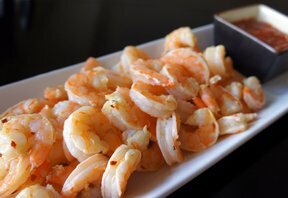 Bake in oven at 350 10-15 minutes, or until mixture bubbles and shrimp are pink. Serve with Baguette slices, if desired.